With just a few hours before Election Day, America's polling industry has gone into overdrive. A handful of colleges, a slew of media outlets, and a mass of polling companies have made a business out of asking Americans who they plan to vote for, while a crop of celebrity statisticians (who ever thought those two words would go together?) have made a cottage industry out of analyzing the survey results. While the election cycle has made virtual rock stars out of analysts like Nate Silver and Real Clear Politics, even these most famous mathmagicians and pollsters are missing one key element in their predictions: money. After all, while poll respondents are often happy to give their opinions, they rarely have anything at risk -- and certainly don't seem especially willing to put their money where their mouths are. Thankfully, a few overseas betting sites have taken polling to the next level: they're allowing customers to place wagers on outcome of tomorrow's election. At Ladbrokes, one of the top British betting sites, a £5 wager on Obama will yield £1 if he wins. In other words, users of the site strongly believe in Obama's chances, to the extent that they aren't willing to offer attractive odds. Romney, on the other hand, offers a much bigger payoff: a £2 wager will pay out £7 if he wins. Across British sites, these odds are fairly consistent. 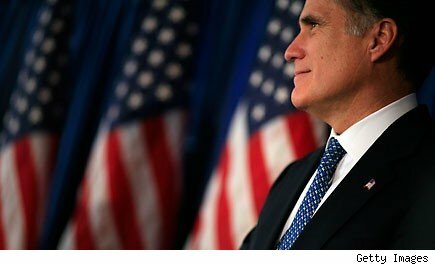 Betfair has 2/7 odds on Obama (a £7 wager pays £2), and 100/30 odds on Romney, while William Hill is offering 1/5 for Obama and 7/2 for Romney. And Intrade, a Dublin-based prediction market that allows users to buy "shares" in a potential winner, is predicting a 67% chance that Obama will be the next president. Admittedly, there are a few problems with relying on British bookies to determine the odds in an American election. To begin with, Obama has a much higher profile overseas -- a factor that is sure to skew bettors. Beyond that, Romney's stunning gaffes during the London Olympics are likely to have dimmed his star among the British. Finally, it is possible to manipulate prediction markets -- in the short term -- by placing huge bets on a particular candidate. In the long run, however, prediction markets tend to be quite accurate at determining the probability of a certain outcome. Because money is involved, bettors are careful about their choices, and are likely to research the possibilities as much as possible. And, while it is possible to skew the odds for a brief period, a robust market with a lot of bettors tends to correct itself fairly quickly. With only a few hours left until the polls close, we won't have to wait long to find out if Ladbrokes, Intrade and the other betting markets are accurate. And the information may prove really useful -- they're already handicapping the 2016 Presidential election. Hillary Clinton versus Paul Ryan, anyone?